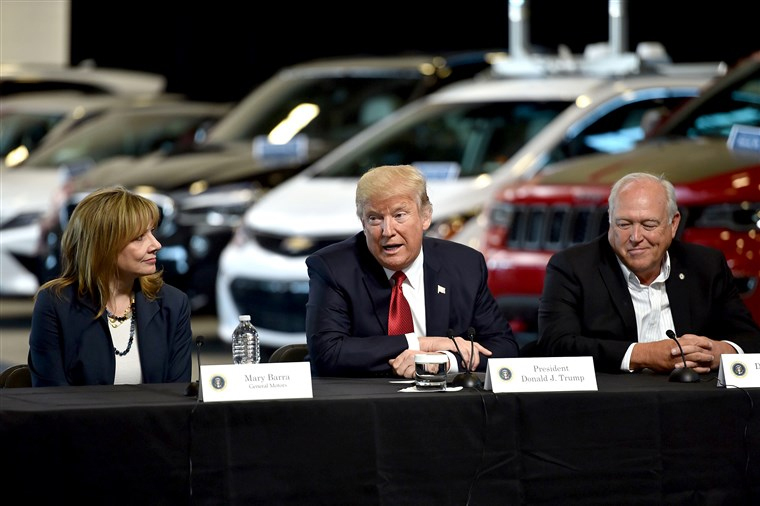 President Trump on Tuesday threatened to end General Motors Co.’s federal tax credit for electric vehicles in retaliation for the company’s planned layoffs. At the same briefing, White House press secretary Sarah Huckabee Sanders was noncommittal on when Trump might make good on his threat. “I don’t know that there’s a specific timeline,” she said. As of the third quarter of 2018, GM was less than 4,000 vehicles away from hitting the point at which federal tax credits start to phase out. The phase-out starts when a manufacturer sells 200,000 electric cars. GM and other automakers are lobbying Congress to lift the 200,000-vehicle limit. Bills in both the House and Senate have been introduced but neither chamber has passed one of the measures.